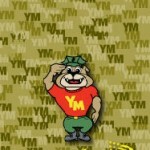 In the Basic Guide Book complete those areas required by Young Marine National Headquarters and the Young Marine will be qualified for promotion to the next rank. There is no time requirement required before promotion, only Young Marine and Parent effort. When the Young Marine graduates from Recruit Training all of the areas in the first Enabling Objectives box have been covered as subjects “taught in Recruit Training” only the Reviewers acknowledgement (to reveal if the information was retained) and signature is required. Then the second and other box’s must be completed as on your own study and then Reviewers signature again is required for those sections. RANKS: Private PVT, Private First Class PFC, Lance Corporal LCpl. Newly promoted Young Marine L/Cpl’s should begin to study the Junior Guidebook so that they can work towards the next rank.